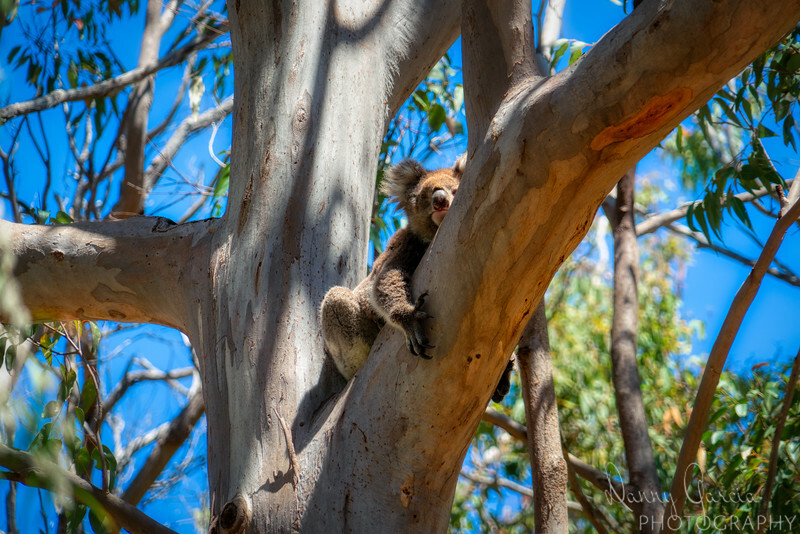 I made a brief stop in Yanchep National Park just north of Perth, Australia during a recent roadtrip. As I asked questions about visting another park, the ranger at the gate said that my entry fee here would cover me at the other park and I should come in and see the Koalas anyhow. Based on her recommendation, I did just that, and was happy to spot some of the 8 koalas that were in the trees. This one was the most alert and each time I took a step, it would look at me.